From changing the way we treat diseases to bringing specialist expertise to every corner of the world, fewer groups have embraced artificial intelligence (AI) more than the healthcare community. This flies in the face of the many naysayers who claim that the technology is destined to doom us all. On the contrary, not only is AI making healthcare providers more efficient at their jobs, it’s genuinely helping them to save lives. Here are 3 ways AI is helping doctors to fight some of the world’s deadliest diseases, giving hope to millions of sufferers and families. While breast cancer is the most commonly diagnosed cancer in American women, African-American women are the most likely to be diagnosed with early-onset breast cancer and, across all age groups, the most likely to die from the disease. While there is a myriad of social determinants for this discrepancy, studies have shown that it is also caused by genetics, with African-American women being more prone to (among other things) specific genetic mutations that correlate with more aggressive cancer tumors. And now, with machine learning, one group of researchers from Georgia State University (GSU) has taken the medical fraternity one step closer to learning how to eradicate this imbalance, and hopefully the illness in general. Using gene expression data from both European and African-American breast cancer patients, the researchers were able to train a machine learning model that could predict the survival rate of the African-American women with almost 90% accuracy, even when other variables like stage and age were modified or into account. While the model is still in development to be used for all cancer patients, the current model still has the potential to inform clinical decision-making to allow doctors to know which patients need to be recruited for additional treatments or prioritized for certain clinical trials. While Alzheimer’s disease cannot be cured, the earlier it is detected, the more treatment options patients have to preserve their quality of life for as long as possible. Unfortunately, with no definitive diagnostic test for the disease, detection usually comes after significant brain volume has already been lost and intervention is no longer viable. Recently, however, researchers at the University of California at Berkeley (UC Berkley) made a breakthrough. 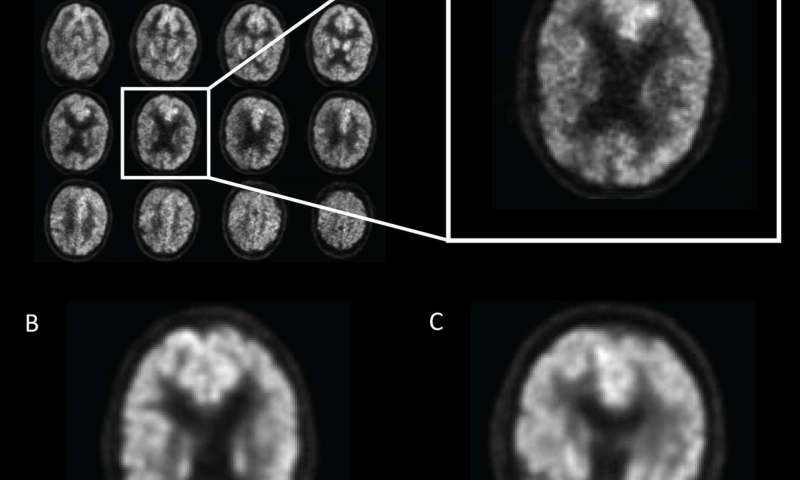 Using computer vision, the university's multidisciplinary research team trained a model that could predict the disease using brain images after FDG-PET scans, a specialized brain imaging technique, were performed. After training, the AI system could detect and track slight metabolic changes in certain parts of the brain that are otherwise difficult to find. When the model was tested on 40 previously unused scans from Alzheimer’s patients, it achieved 100% accuracy at detecting the degenerative disease in scans taken, on average, over six years before the final diagnosis of the patient was actually made. It’s still early days, with researchers noting more tests and a larger sample size needs to be used. That said, as co-author of the study, Dr. Jae Ho Sohn, M.D., stated: "If we can detect it earlier, that's an opportunity for investigators to potentially find better ways to slow down or even halt the disease process." Of the 3 most common skin cancers, melanoma is the most serious and fatal, killing 1000s of patients every year. What makes this statistic all the more crushing is the fact that when detected early, treatment is almost always successful. Though caused by several factors, most melanomas can be diagnosed with the naked eye. This is because moles, freckles and other skin markings often change shape, color, or grow as the disease develops. Regularly checking your skin for such changes is, therefore, quite literally a matter of life or death. And now, with computer vision, we are on our way to having an effective, low-cost way of doing these checks. Using Clarifai’s API, developers from the Florida Institute of Technology built a “skin kiosk” that can be used to predict whether a skin marking is potentially cancerous or not. Trained and tested on datasets consisting of various images of melanoma, the kiosk allows users to take a picture of the marking in question, then gives predictions on whether the marking is typical, atypical or potentially cancerous. If melanoma is predicted, the kiosk can automatically send a message to a participating doctor and give reports in multiple languages. With melanoma’s prevalence in their home state of Florida, the developers’ next goal is to find professionals willing to volunteer for the program and mass produce these kiosks, providing people with an inexpensive, reliable means of detecting this deadly disease before it’s too late. There’s a reason why these doctors and developers believe in AI’s potential to save lives. It already has. In 2016, doctors at the University of Tokyo used AI’s ability to analyze large amounts of data in a much shorter time to save the life of a 60-year-old leukemia patient. Initially diagnosed with acute myeloid leukemia, the patient failed to respond adequately to treatment, leading doctors to determine she had been misdiagnosed. To confirm their hunch though, doctors needed to quickly cross-reference the patient’s genetic data against data from 20 million oncology studies from all over the world. Since this would have taken them weeks, they turned to AI. In minutes, the AI was able to detect and filter thousands of genetic mutations in the patient’s DNA for relevance. From there, doctors were able to make the right diagnosis, successfully treat the disease. Since then, there has been a multitude of advances in personalized medicine thanks to AI. This year, researchers in Singapore incorporated AI into their novel approach to treating an advanced form of prostate cancer in a patient. The team combined an investigational drug with an established one and developed an AI platform, CURATE.AI, to identify the optimal doses of each so they could work together effectively and safely. To train it, the team used the patient’s clinical profile, which changes over time, recording when and how they adjusted the doses and any corresponding changes in tumors or the levels of cancer biomarkers. This information was then used to build a personalized CURATE.AI profile for the patient. Using the platform’s analysis for guidance, doctors were able to quickly determine the dose combinations that would result in the best possible treatment outcomes and watched the cancer biomarkers levels decrease. CT scans eventually showed the progression of the disease had halted, allowing the patient to resume his normal and active lifestyle. The medical community’s acceptance of AI should not be surprising. In taking the Hippocratic Oath, doctors promise to call for assistance where the skills of another are needed for a patient's recovery. While AI is just a tool, when combined with the skills of many healthcare providers and put towards the welfare of patients worldwide, its capabilities make it a potential and effective lifesaver.